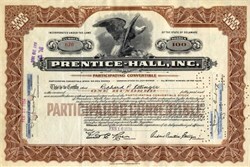 Beautiful certificate from the Prentice-Hall, Inc. issued in 1934. 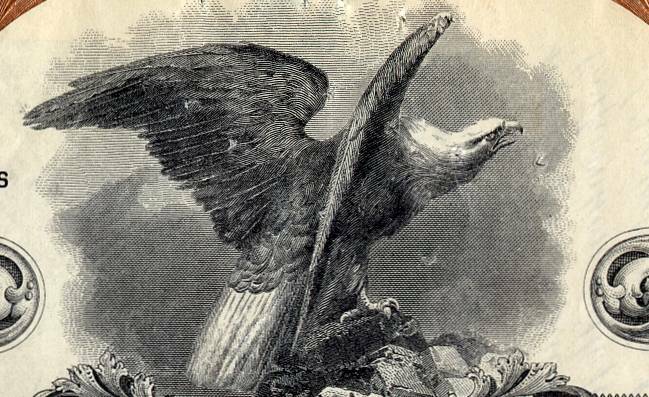 This historic document was printed by the American Bank Note Company and has an ornate border around it with a vignette of an eagle. This item has the printed signatures of the Company’s President, and Treasurer, and is over 79 years old. The certificate was issued to Richard Prentice and is endorsed by him on the back.